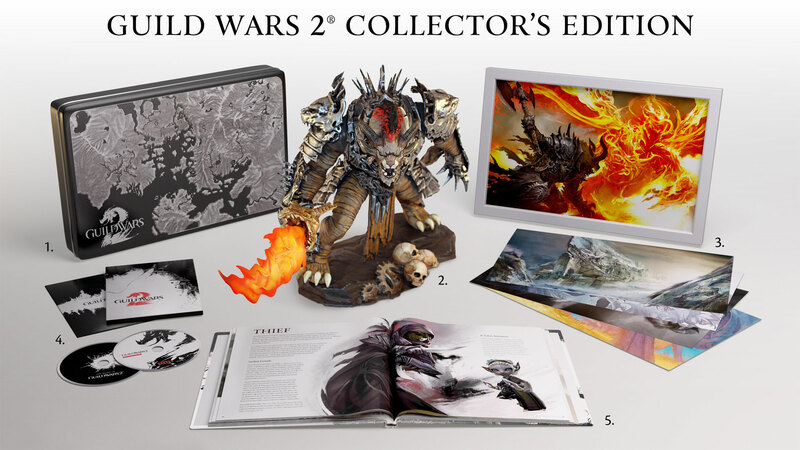 Fans clamouring for a chance to put down money on ArenaNet's massively multiplayer sequel get their chance on April 10, when NCsoft begins taking preorders for Guild Wars 2 standard, digital deluxe, and collector's editions. What do they get for putting their money down? How about access to all beta events leading up to the game's release later this year, along with three days' worth of play time before the regular rabble gets in and takes all the good names? That's what's in store for players that pledge to purchase through NCsoft next month, 72 hours of pure bliss. Mind you it's only 24 hours if you preorder through standard retailers, so you might want to stick to NCsoft this time around. And while we're talking bliss, how about that 10-inch statue of Rytlock Brimstone, complete with flaming sword, the centrepiece of the $US150 collector's edition. 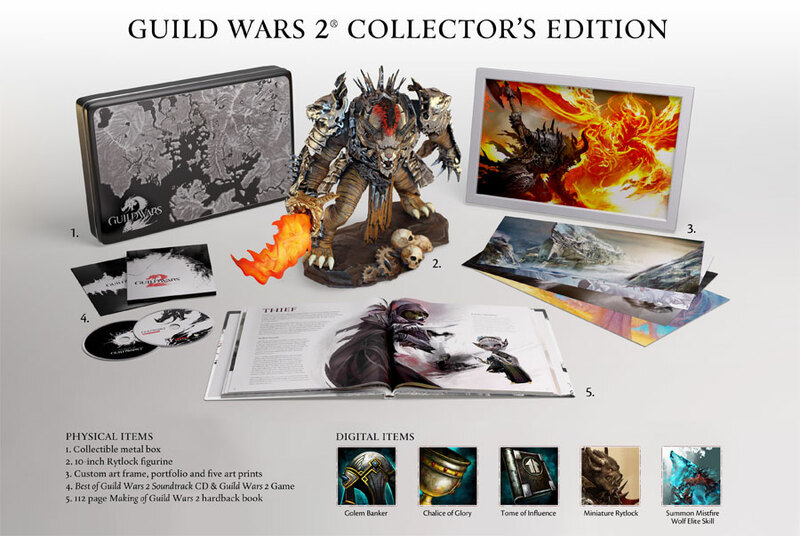 There's also a 118-page hardbound making-of book, a collector's tin, and a soundtrack CD, but the most exciting aspect of the collector's edition has to be the inclusion of five Guild Wars 2 art prints. Why? Because they've included a frame. No one ever includes a frame. Frames are important. There's also the $US69.99 Digital Deluxe edition, which comes packed with virtual goodies, or the $US49.99 boring edition that lets you play the game, I guess. If you're into that sort of thing. Whatever. For more details on the Guild Wars 2 pre-purchase program, hit up the official website. I'm going to go clear off some shelf space for my frame. The in-game stuff is a bit disappointing. The physical items are very nice though, but I don't think I can justify $150 for it. Is there a cheaper version without the fugly statue that I'd be binning the instant I opened the package? But if you didn't want the statue you'd make a good piece of dosh selling it online. I had a better idea: you could give it to me for free so I could have two. Any news on Steam Pre-orders? If there is you can bet your entire life savings on a pair of hats for TF2. Is this only available online or will EB be taking pre-orders as well?